Julie Sherrier is senior managing editor at CreditCards.com. Prior to joining CreditCards.com, Sherrier ghostwrote a New York Times best-selling book on flipping houses (which she does in her spare time), as well as having served as the editor and communications director for three national and state trade associations. She has won numerous awards for both print and online publications. 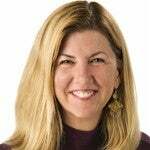 She has been a frequent speaker for the American Society of Journalists and Authors as well as a former lecturer in the journalism school at the University of Texas at Austin.